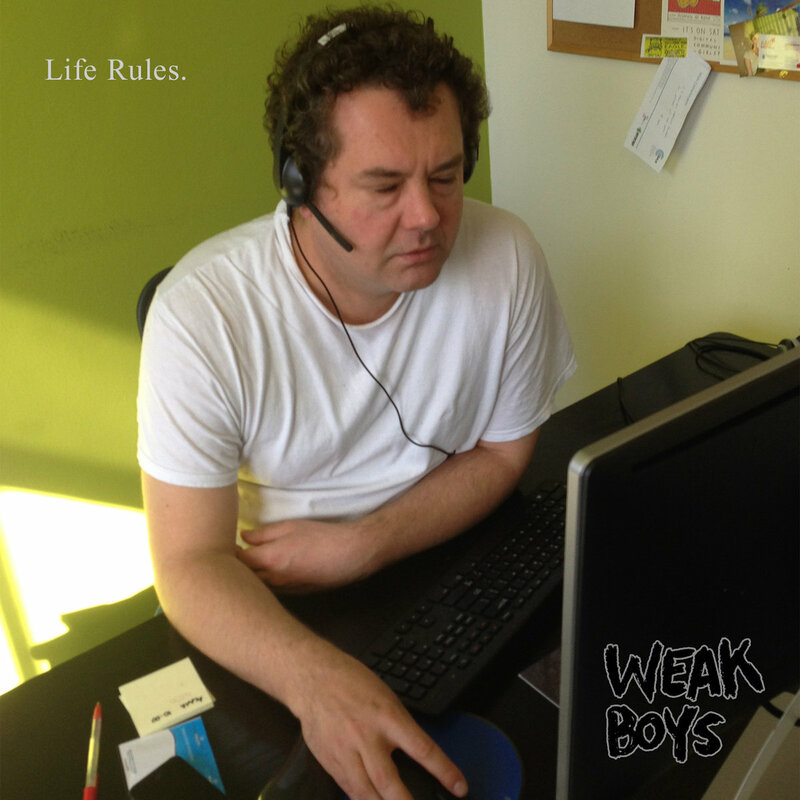 Strong Look Records / release / STR0000007 / Weak Boys "Life Rules"
‘Life Rules’ was recorded at Audile Design by Pete Beringer with overdubs recorded by Weak Boys at Big Ibis Burger. Mastered by Tim Carr. Danny Chifley appears on the cover courtesy of himself. Title by Steven William Bell, Taringa (2014). ‘Bootleg Live Set’ was recorded at Newtown Social Club on November 28th 2015, recording and vox pops by Martin Walters. Jonny Maracas did not play on this recording. Lani Crooks appears on ‘Professional Parents’ (as part of ‘Live Set’).